Kenwood Plc were called to this 1900’s mid terrace property by the landlord over concerns of dampness affecting the home. 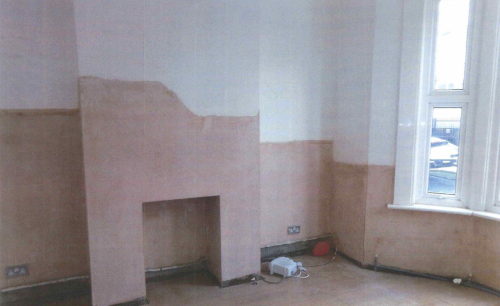 Treatment for rising damp was required to all external walls and many internal load bearing walls also. This is due to the lack of an effective damp proof course. To rectify this Kenwood have installed a new chemical damp proof course by injecting the mortar bed. The rear elevation of the property has high external ground levels so to ensure a complete treatment these walls have also been tanked, which eliminated the need to lower the external ground levels. This system is a waterproof cement slurry which is applied to the wall to prevent moisture pushing through the brickwork. This treatment is completed by use of Kenwood’s specially formulated rendering system which includes waterproof additives to give a fully comprehensive treatment against dampness ingress.